The Academy Gallery is going to be opened on Monday August 14th and Tuesday 15th from 8.50am – 7pm; tickets office closes 30 minutes before closing timeThe Uffizi Gallery is opened on Monday August 14th and August 15th from 8.15 am to 6.50 pm and the tickets office closes at 6.05pm. San Marco Museum, preserving Beato Angelico’s masterpieces, is opened on August 15th from 8.15 am to 4.50pm, last entrance at 4.20pm. The Bargello Museum and the Medici Chapels are opened on Ferragosto, as well as the Boboli Gardens opened also on Monday August 14th and Pitti Palace main galleries with regular opening times. Also the Archaeological Museum of Florence is going to be opened both on August 14th (8.30am – 2 pm) and 15th (8.30am – 7pm). 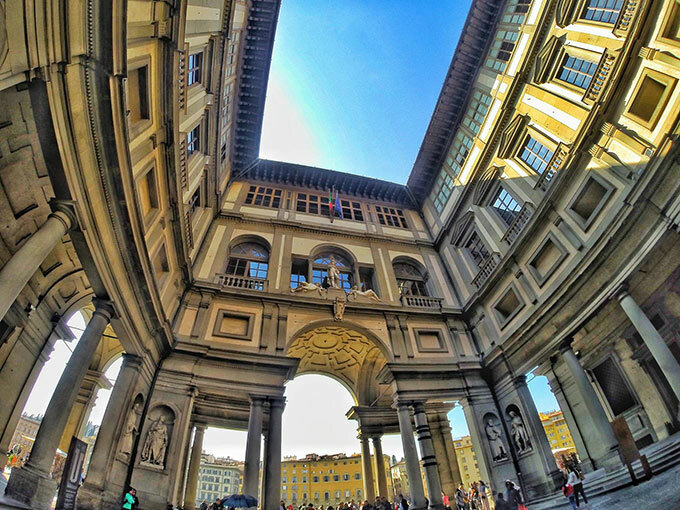 The Civic museums in Florence opened on August 15th, Ferragosto day, are Palazzo Vecchio and Arnolfo Tower, Museo del Novecento and Santa Maria Novella Museums. The museums closed are the Bardini Museum and the Brancacci Chapel. We strongly recommend you book tickets for Uffizi and Accademia in advance, because they’re busy museums and waiting times are about 2 hours.